These tips are to assist users to determine the root cause of the time change issue on the terminals so that they will know how to tackle the situation effectively. Since it is related to the users’ attendance data, an inaccurate time and date in the devices needs to be solved at the soonest. This is because if the time and date shown on the screen is incorrect, users willl encounter faulty attendance recording as the r transactions operates based on the time set in the respective device. There are 3 possibilities that can cause the date and time to change in the terminals. Kindly refer to the checklist below. a new CMOS battery in this scenario. is incorrect, you need to change new a CMOS battery for the PC. code is CR1220 - 3 volt. check the time zone setting in the software (Webster/Webserver/TimeTec TA). 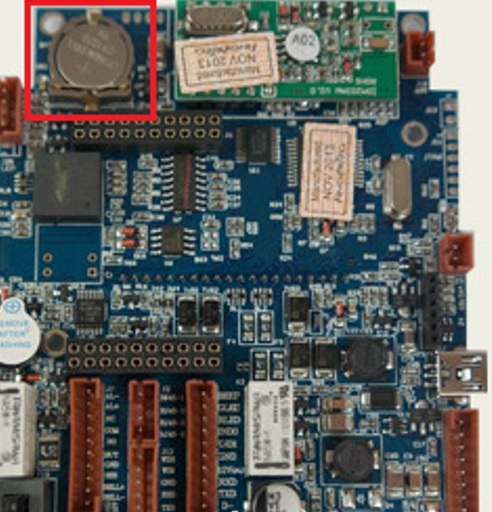 faulty MCU board at http://warranty.fingertec.com.